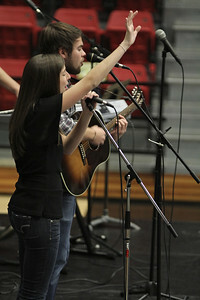 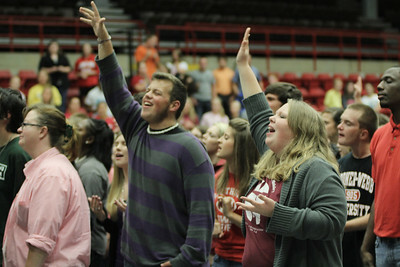 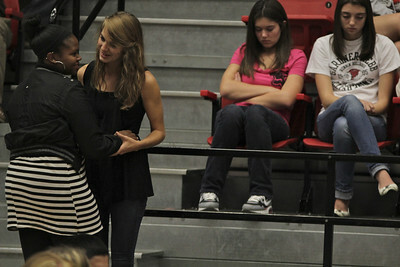 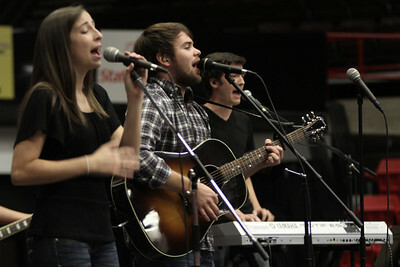 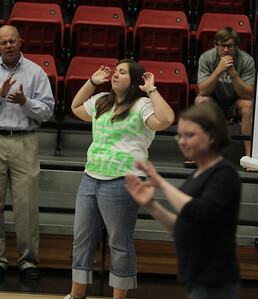 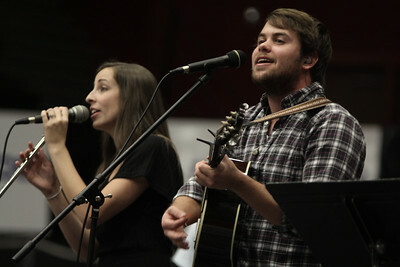 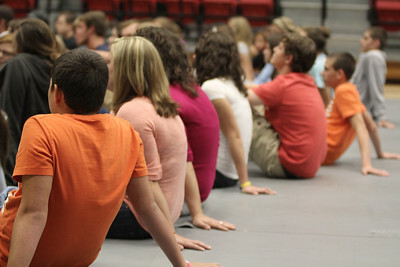 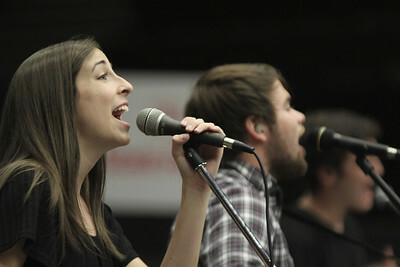 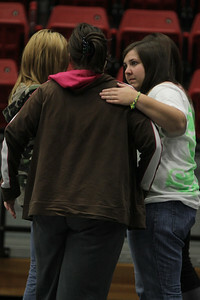 Students from Gardner-Webb and local middle and high schools came together on Wednesday night for Fields of Faith. 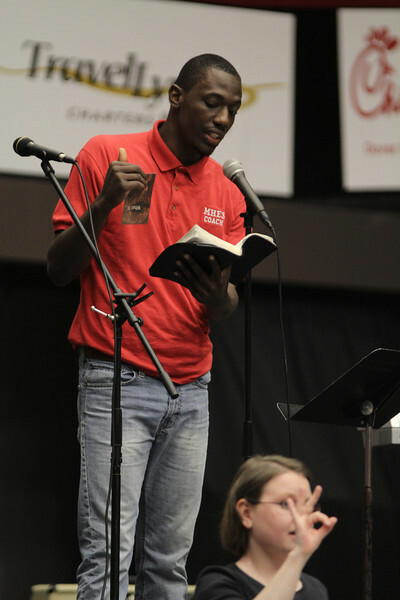 It was an opportunity for sharing testimonies, spoken word, speaking, worshipping, prayer, and fellowship. 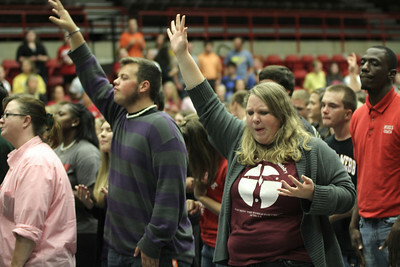 Fields of Faith was an opportunity for students of middle school to college age to unite together as a body for one common cause, their faith in God. 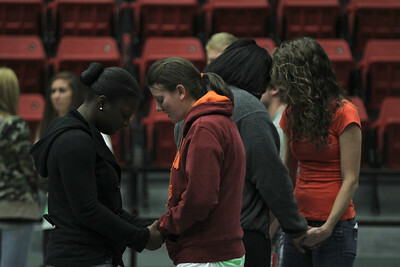 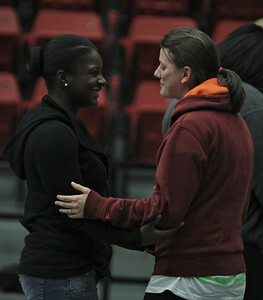 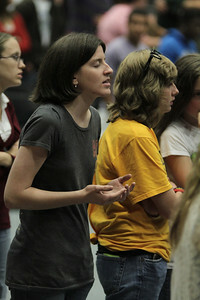 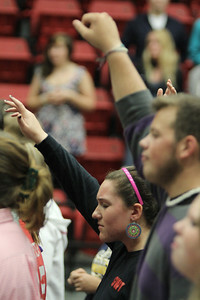 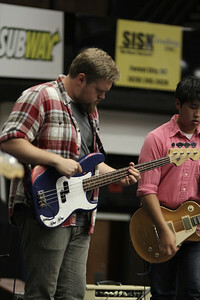 Students were invited to come forward to pray or speak with members from GWU's FCA. 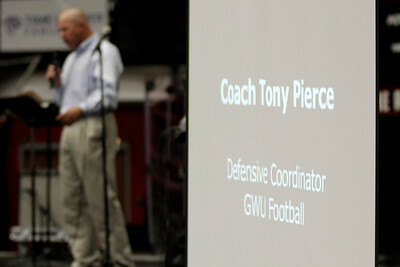 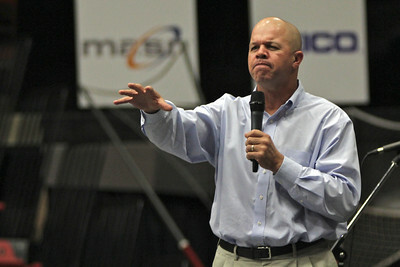 Coach Tony Pierce, Defensive Coordinator for GWU Football, spoke at Fields of Faith. 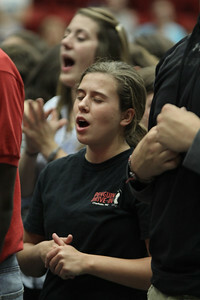 The Unworthy Beloved lead worship at Fields of Faith. 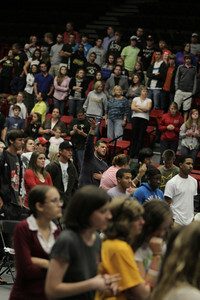 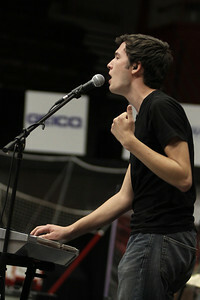 James shared his testimony at Fields of Faith. 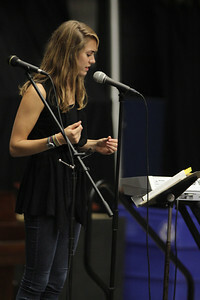 Elisabeth Sawyer shared her testimony at Fields of Faith. 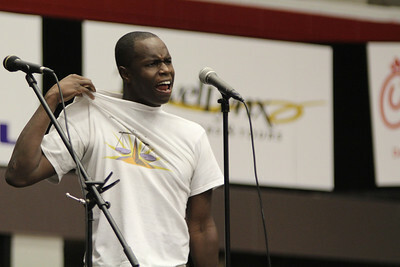 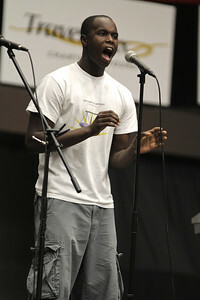 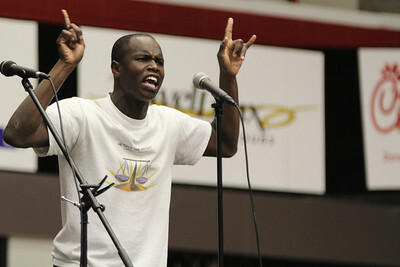 Darelle Dove performed original spoken word at Fields of Faith. 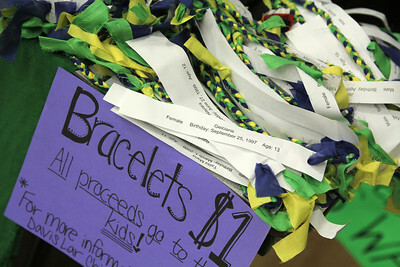 At Fields of Faith, there was a table set up for the Davis Lar Children's Home to inform students and to sell prayer braclets. 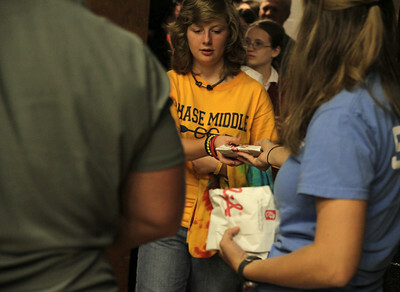 The first 100 people to arrive at Fields of Faith received a free Chick-fil-A sandwich.